Hey friends. 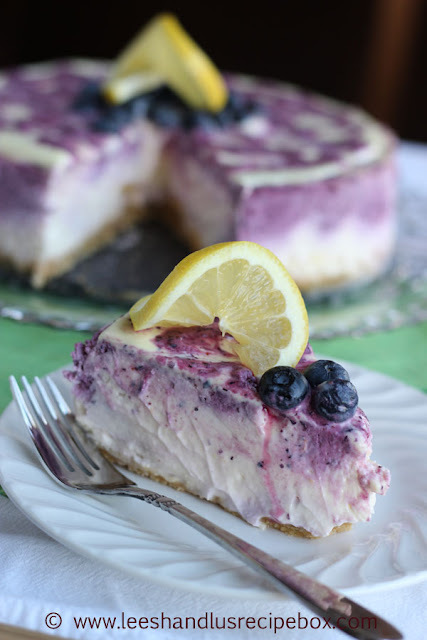 I have a great recipe for you today! Spudnuts! Have you heard of them? I shared them here a few weeks ago. Spudnuts are a kind of doughnut, they are similar to these classic doughnuts I posted a few years ago, but the dough is quite a bit softer due to the fact that it has mashed potatoes (aka spuds) in it. I have several recipes that I love adding mashed potatoes to. Have you tried any of them yet? I have a few more to come too, they seriously are the magic ingredient to some tender delicious dough! The result of this spudnut dough is a deliciously soft dough, so soft I just want to pinch and squeeze it. It's then cooked til golden and frosted with chocolate icing, or dipped in a vanilla glaze or rolled in sugar or cinnamon sugar. 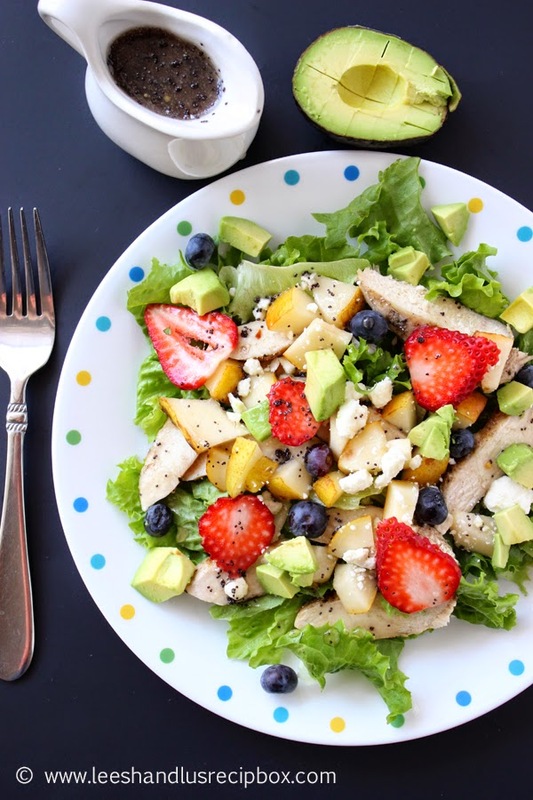 It's mouthwatering good! I'm drooling for a hot fresh one right now!!! 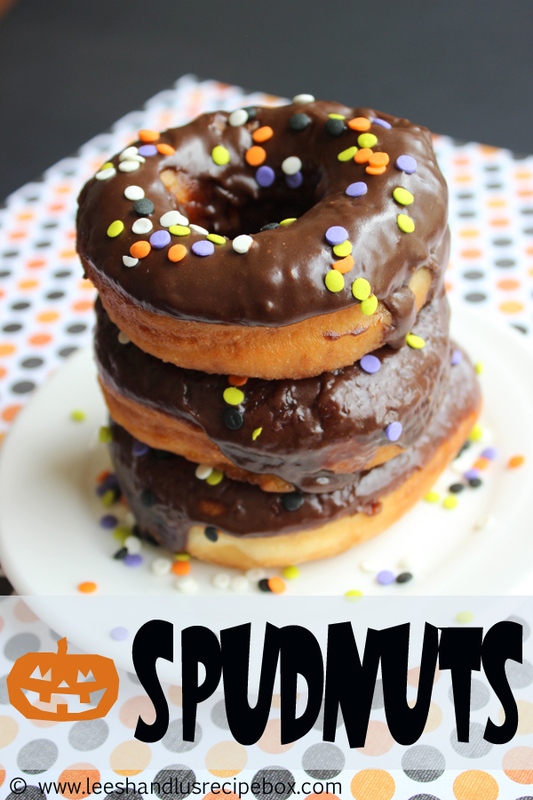 Spudnuts and doughnuts seem like such a fall kind of food to me (although I'd like them any time of year, really!). That's the time of year I especially want to make them. I've added a Halloween touch to these ones pictured with some Halloween sprinkles that I bought at my grocery store bakery. 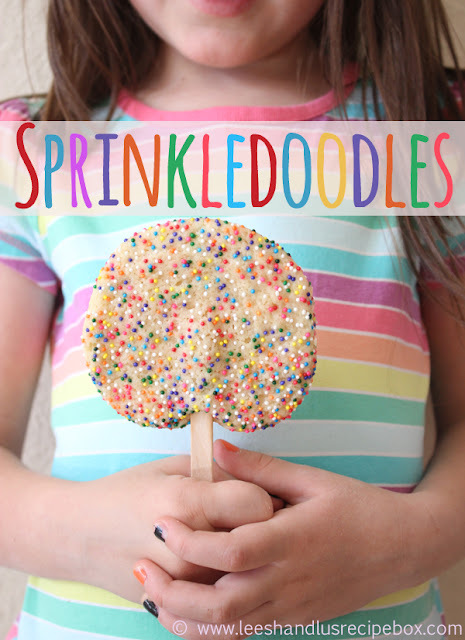 You can make them with our without sprinkles. We've made homemade doughnuts/spudnuts a tradition in our family. We now religiously have them every fall. Our first go at doughnuts was 3 years ago. 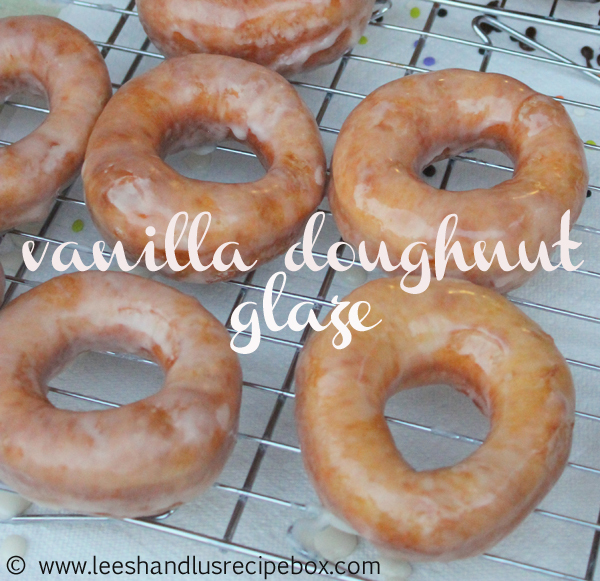 My husband and I had been wanting to make them, but since we had no experience in doughnut making we decided not to invite guests over to share them with. 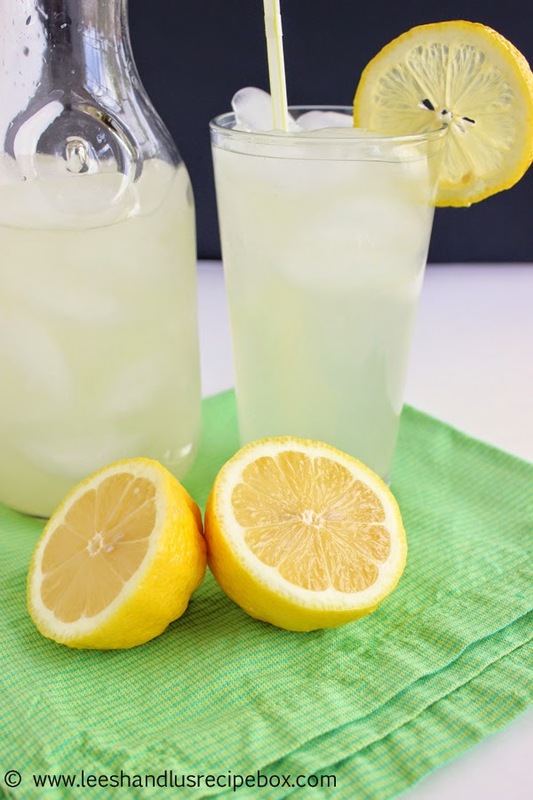 Well, we didn't have to worry after all, I read several good tips (which are listed in this post today and also here), and they turned out perfect! They were utterly delicious! We ended up taking them to our friends that night, so they could help us eat them while fresh! So if you are feeling like you might not be up for doughnut making, let me reassure you that it really is worth a shot! 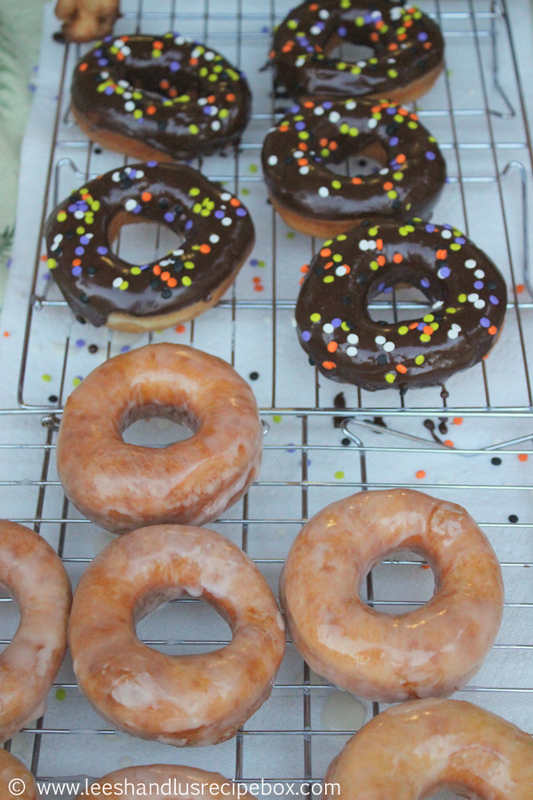 Since our first attempt, we've hosted several doughnut parties. 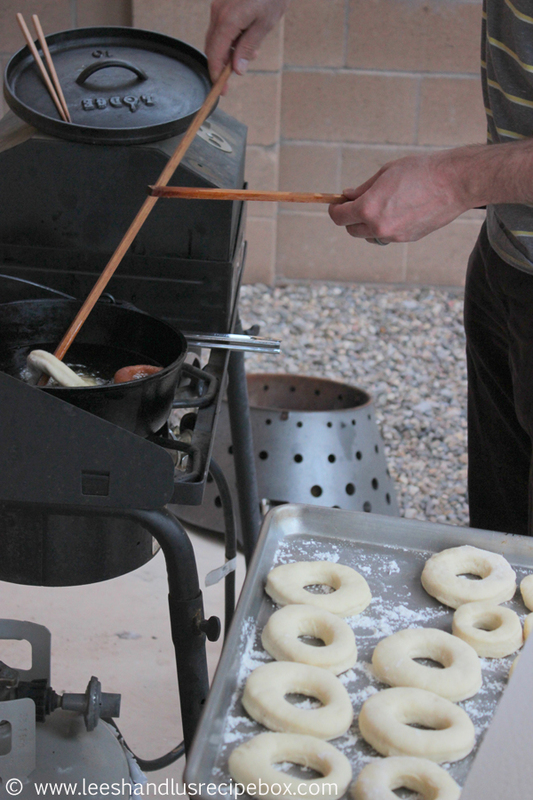 When my husband graduated with his master's degree he requested a doughnut fry to celebrate! I think we made 200 doughnuts that night. Generally we keep it to a smaller group. So we've done big and small doughnut parties. I think they are such a fun thing to do in the fall. Serve them with some warm or cold cider and/or milk and invite the street to enjoy a lovely fall evening. My brother-in-law, Thomas, comes from a family where doughnut making is basically part of their blood. And he really has given us lots of good pointers and helps. Including what kind of oil to use (see recipe) and why you want some giant chopsticks (aka long wooden dowels). Regular chopsticks work just fine too, but if you want to be a true spudnut/doughnut ninja then these wooden dowels will be your best friend. I think they are about 2 feet long, you can buy dowels at Home Depot or Lowe's. They are so nice for getting the doughnut into the oil and for letting them drip on once you pull them out. And here they are coming out and dripping a bit. If you prefer a vanilla glaze or sugar dusting, do it while they are warm, it will stick better. 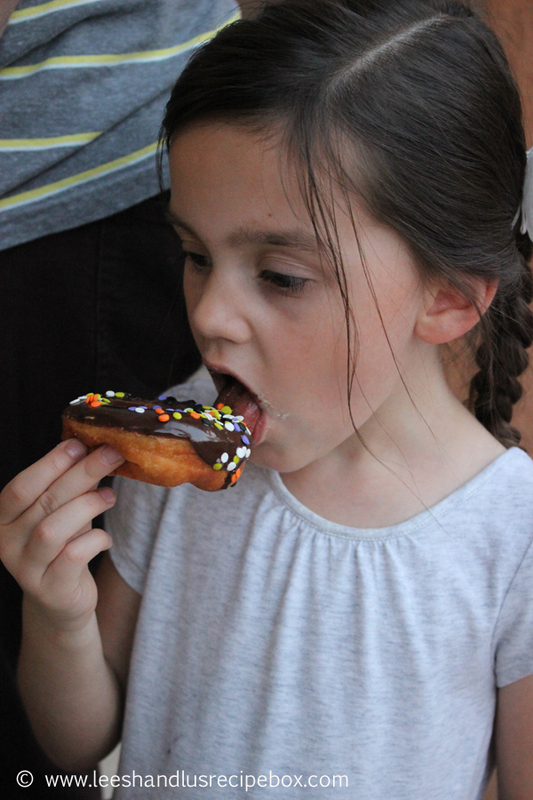 If you're more of chocolate iced doughtnut person, like my daughter who is lost in thought as she devours this doughnut is, then you'll let the doughnut cool just a bit til it's barely warm or completely cool and then dip the top half into the warm chocolate icing. Mmmm. 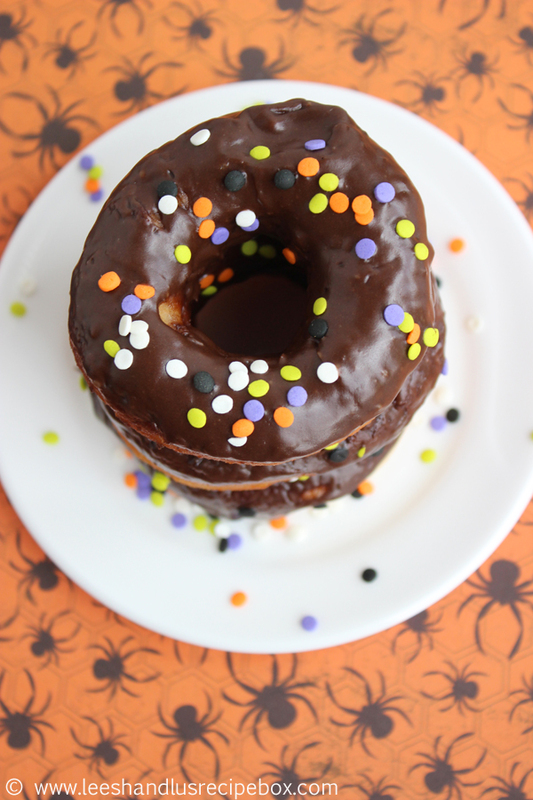 Below I've shared recipes for spudnuts, chocolate icing and vanilla glaze. If you'd rather skip the icing or glaze you can also roll/dust the spudnuts in sugar or cinnamon-sugar. Mmmm! Anyway you have them, you will enjoy them! My first choice would be chocolate icing, then vanilla glaze, then a cinnamon sugar dusting. Now that I've shared more than you probably care to know about doughnuts, here ya go. Jump in! If you read this far I consider you a true friend or real doughnut enthusiast! I have printable versions below in various options depending on what you're after, here they are listed in one spot. I’ve added a lot of notes in here for helping you in case you are new to doughnut making. So don’t be overwhelmed with the instructions. Just read it thought before you start and you’ll have success! In a medium size sauce pan melt the butter and heat the milk over medium heat, bring to a gentle boil to scald the milk. Once it starts gently boiling turn the heat off, add the water, mashed potatoes and sugar. Let it cool to lukewarm. If you are in a hurry you can stick the pan in a bowl or sink of ice (taking care to not let it get in the pan). Once it’s cooled to lukewarm dump into a large mixing bowl or into a mixer (such as a Bosch or Kitchenaid) add the beaten eggs and vanilla. Mix with dough hook until smooth. In a small mixing bowl combine 3 cups of flour with the salt, baking powder, and yeast (if you are using active dry yeast proof it in ¼ cup of warm water and then add to the wet mixture). Stir with a wire whisk to combine. Add this mixture to the mixer and mix on low until smooth. Add 2-3 cups more of the flour and let it mix on high. I like to judge the amount of flour I need by the way the dough is looking. If the dough has enough flour it will clean the sides of the bowl and you’ll have a nice ball of dough that is mixing around the hook. Once it’s looking like it’s getting close, I’ll add about a tablespoon or so of flour at a time until it’s cleaning the sides of the bowl. Knead for 5 minutes on high. (If you’re it doing by hand - mix in the large mixing bowl until it’s mostly come together and then knead it on a floured surface until smooth and elastic and it’s only slightly tacky to the touch (5-10 minutes). Once it’s kneaded I like to lightly grease a large bowl and place the dough in it, cover it with a flour-sack towel and let it rise until doubled (takes 45-60 minutes depending on how warm your house is). Then punch it down and let it rise once more (you could probably really skip this step if using instant yeast, don’t skip it if you are using active dry yeast). After the two rises lightly flour your clean work surface and divide the dough in half. Roll the dough out until it’s ½ inch thick and cut (flour your cutter to prevent sticking) with a doughnut cutter (or I used a clean pineapple tidbit can for the outer ring and a small medicine cup for the hole in the center. You could also use a round cookie cutter and a spice lid or something else that looks like a good size for cutting the doughnut hole). Re-roll the dough that isn’t used and cut again. Transfer the cut doughnuts and holes onto a few lightly floured baking sheets, leaving about 2 inches in between each doughnut. Cover with a flour-sack towel and let them rise for 30-45 minutes or until doubled. Repeat with the other remaining half of the dough. Now it’s time to fry them. We prefer using a dutch oven on our campchef stove outside (mostly because I don’t want to smell the lingering fried smell in my house). 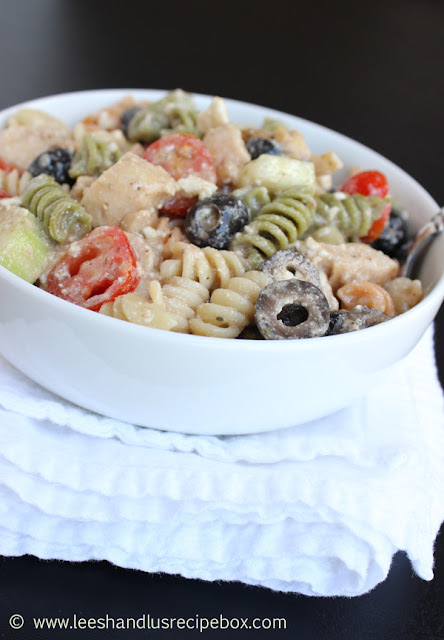 You can also use a deep-dish electric skillet or deep dish skillet or pan on the stovetop. If you do this in the house, for easier cleanup - line the area around your fry pan in foil and drain doughnuts on a cooling rack that is set over paper towels with foil under that. Only place utensils on the foil when you’re not using so you have less clean up. Heat oil (preferably Crisco or Peanut Oil, corn oil will work too, but it will have more of a oil flavored taste to it) to about 350 degrees F. You need enough oil so that whatever pan you’ve chose to use will have about 2 inches and have plenty of extra space above that in the pan. If you don’t have a candy thermometer for checking the temperature, you’ll heat the oil on a medium-low heat and to test the temperature I’ll place a doughnut hole or small glob of dough in the oil and see how it reacts. If the dough sinks and doesn’t cook, it’s not hot enough. If it turns dark brown immediately, turn off the heat and let it cool. If it starts to brown slightly and takes about 20-30 seconds to look cooked, it’s just right. You can use chopsticks or long wooden dowels to turn the doughnut - they’ll need to cook for about 30 seconds on the first side and 20-30 on the second (For doughnut holes use a slotted spoon for removing them from the oil). Try doing one first and let it cool on a cooling rack and see how done the middle is, if it’s still doughy try frying just a little longer on the next one or increasing the temperature ever so slightly. Once you know the oil is the right temperature place a few in the pan, taking care to not crowd them. We do 2-3 at a time in our dutch oven. Once they are done frying remove them with the dowel or shop sticks and let them drip for a second and then place them on a cooling rack. While the doughnuts are still very warm dip them in the glaze (and place on another rack to let excess drip off (put a pan or something under to catch drips for easier clean up) or use a sugar or cinnamon-sugar coating and eat warm or let them cool. Enjoy! These are best fresh (the day of). Combined and halved two recipes I had from my brother-in-law, Thomas, and my sweet friend, Leisa F. Also used tips from Top-Pot’s Doughnut Cookbook. In a large mixing bowl (metal or glass works best if you want to make ahead of time - see note above) mix powdered sugar, corn syrup, salt, vanilla, and hot water in a large mixing bowl and mix with a hand mixer until smooth and no lumps remain. Scrape the bowl as needed. Add the melted chocolate and mix until it’s combined completely. If the icing seems to thick simply add more hot water a teaspoon at a time until it’s reached the desired consistency. 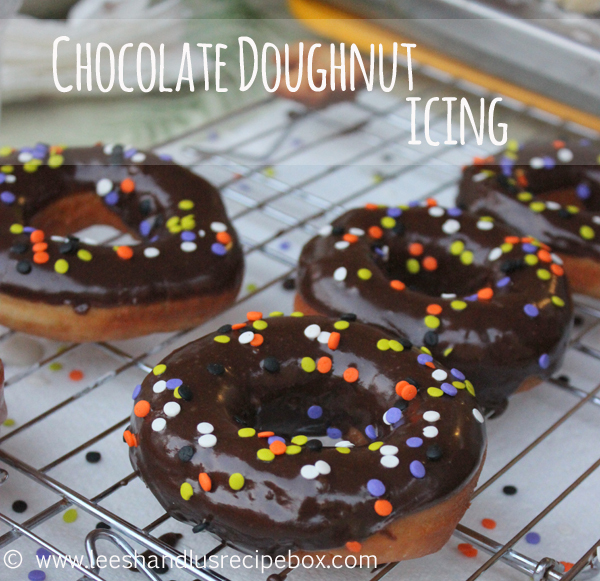 To ice the doughnut, dip one side of each mostly cooled or completely cooled doughnut into the warm icing. Let it set up for 10-15 minutes before serving for a bakery style look. Or eat right away, who doesn’t love a hot doughnut? Melt butter in a saucepan over medium heat. Using a wire whisk, stir in powdered sugar and vanilla until smooth and no lumps are left. 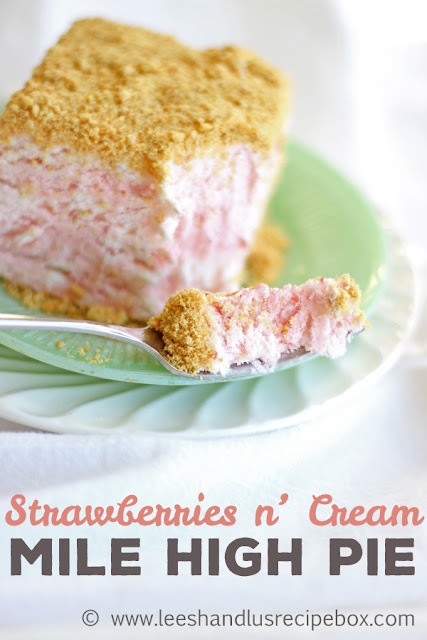 Remove from heat, and stir in hot water one tablespoon at a time until the icing is somewhat thin, but not watery. 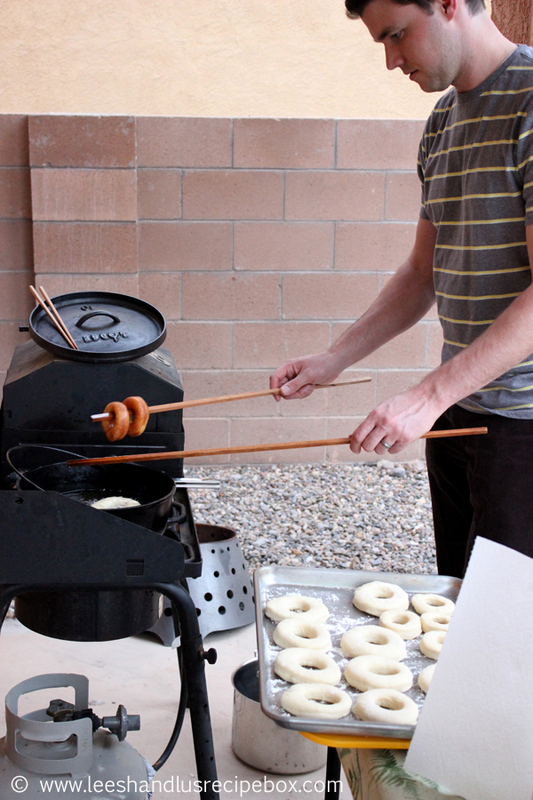 Dip cool or warm doughnuts in the glaze. The glaze works best when hot/warm. If you make it ahead of time, simply cover it with plastic wrap making sure the wrap covers the surface completely so no air can dry it out. When you’re ready to use remove the plastic wrap and warm, stirring constantly, over low to medium-low heat until it’s ready to use. Dip doughnuts immediately. From the Classic Crispy & Creamy Doughnuts I shared here. 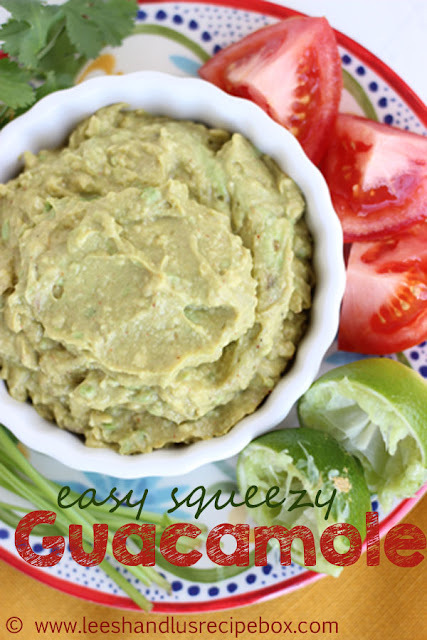 Has anyone tried this recipe with an air fryer? We haven't. Let us know if you try it!